Recognition for the class of 2017! 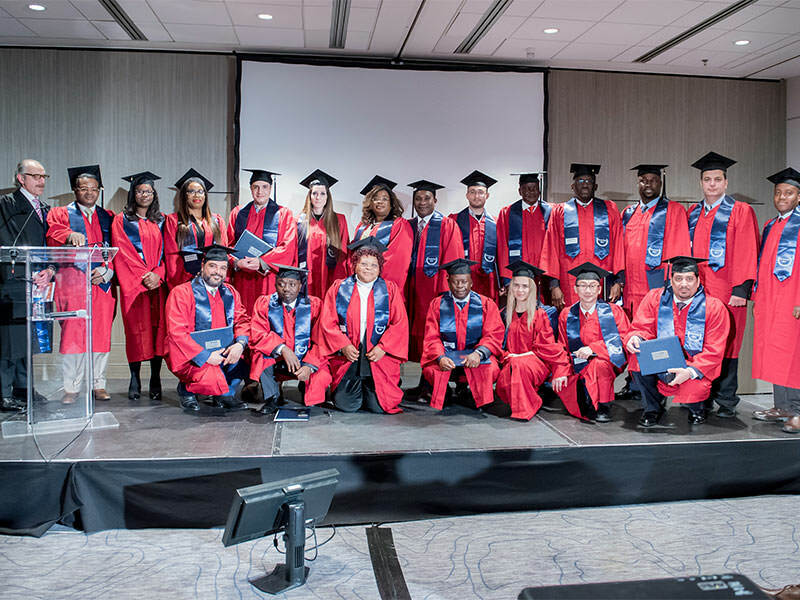 The 2018 PSB Paris School of Business graduation gala was held at the Marriott Hotel in Paris’s 14th arrondissement. 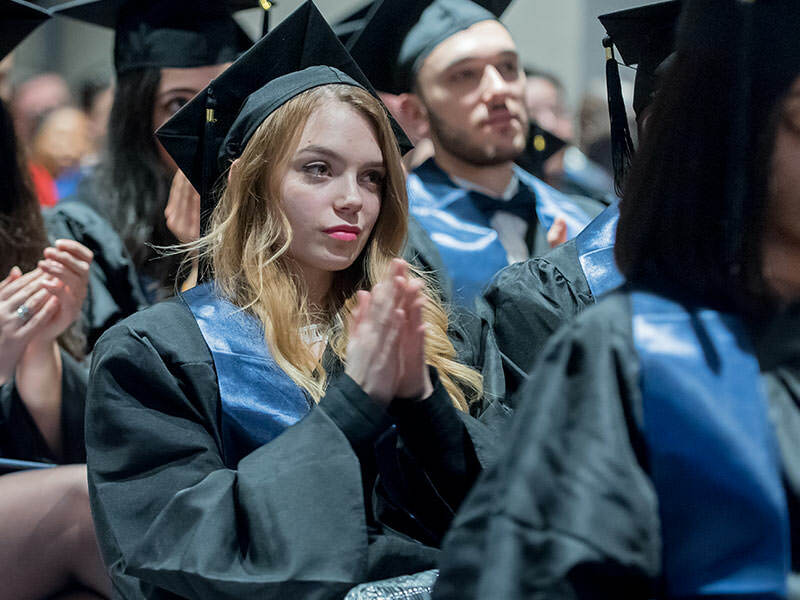 Attending the event were 670 graduates of the Grande Ecole Program and 180 graduates of the International Programs, along with their guests. Years of hard work as well as years of enjoyment and outstanding achievement, all rewarded with this acclaimed qualification! The 2018 Gala brought together nearly 2,500 people, the most important event to date for the PSB Paris School of Business. The now Alumni finally got hold of their degrees. The photographers were inundated with graduates and their loved ones wanting to immortalize this pivotal moment. Everyone began to celebrate the event during the cocktail reception before making their way, in their gowns, to the ceremony where all the Specialization Advisors were waiting for them. Aymeric Chomel, Dean of International Programs, opened the event and introduced Peter Darlow, Chief Financial Officer at Interpol and patron of the class of 2017. He said a few words to the assembled audience before handing over to the Master of Ceremonies, Cynthia Cervantes. 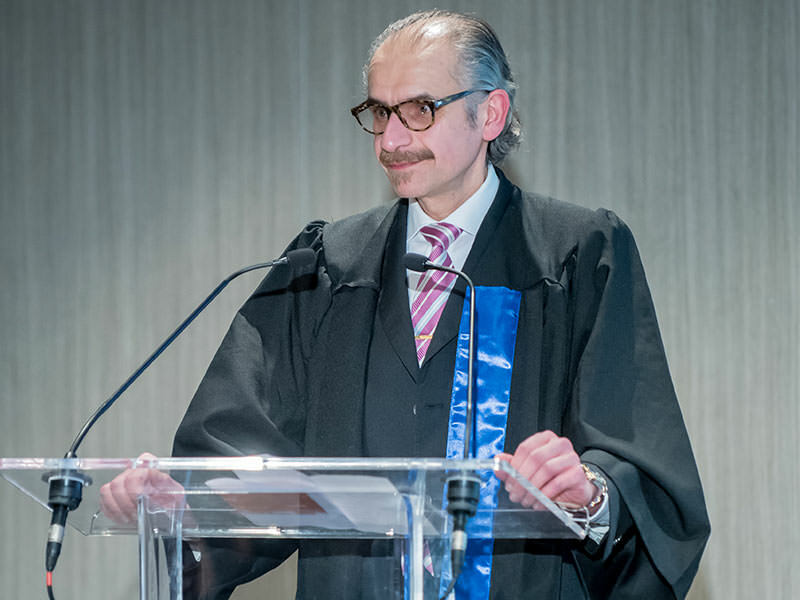 The dance of the flying hats began with Josse Roussel and the graduates of the Doctorate of Business Administration. They were called to the stage one by one to celebrate their graduation. This moment marks the end of one journey and the best possible start to the next! Another highlight from the Marriott rostrum were the inspiring speeches from the valedictorians. The school is very pleased to count them among its ambassadors. 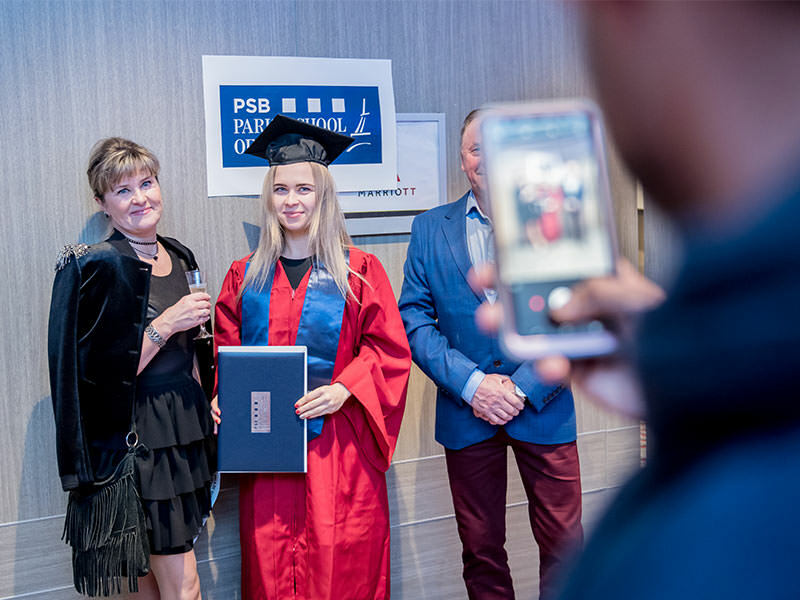 They proudly fly the flag for the International Programs of the PSB Paris School of Business and received a valedictory award for their excellent results. International Master of Business Administration with David Versailles, MSc in Arts and Cultural Management with Cynthia Cervantes, MSc in Data Management with Rony Germon, MSc in Hospitality and Tourism Management with Jean-Michel Chapuis, MSc in International Finance with Emmanuel de la Burgade, MSc in International Management with David Russell, Bachelor of Business Administration with Loïc Matti, MSc in Luxury and Fashion Management with Valérie Haie. Videos depicting the most important events in the life of the school and its students were screened throughout the evening, which every year leaves a lasting impression on the minds and in the hearts of everyone.